Attorney Donald W. Singleton is here to help you. We are here to make sure that you are treated fairly and that you are represented vigorously. The call is free. The advice is free. Our philosophy is simple: The Golden Rule works! We promise to treat you the same way we would want to be treated if we were looking for an Atlanta personal injury lawyer. If you’ve been injured or if a loved one has been killed as the result of the negligence of others, you need to educate yourself on your legal options, rights and what to do next. Consider a free consultation with the Singleton Law Firm. Our Atlanta attorneys have more than a decade of experience in a wide variety of cases, from truck and auto accidents to premises liability. Donald W. Singleton prides himself on his compassionate approach to what can be a difficult situation for you and your family at his Georgia personal injury law firm. You want someone who can ask the right questions to assess the value of your case, and who understands the legal landscape. 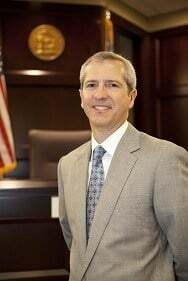 In addition to his experience as Georgia personal injury lawyer, Mr. Singleton has also been a municipal court judge, and has seen how cases unfold.